Ryan Phuan Yanming, 10, aspires to be a concert pianist in future. Ryan's prodigious talent is developed under the tutelage of Ms Christine Gan Siew Hui since the age of 6. This has led to many performances on the world stage, such as the Carnegie Hall in New York, Opera Bastille in Paris, Sala Dei Notari in Perugia Italy, Moscow, London, Newcastle (UK), Hong Kong, Kuala Lumpur, Taiwan; Indonesia and Singapore. Ryan made his Concerto Debut at the Music Fest Perugia, Italy in July 2017. Featured in the “Rising Stars Series”, he performed the Haydn Piano Concerto in D major with the Brunensis Virtuosi Orchestra. In January 2018, Ryan participated in the HKYPAF - The 5th Hong Kong International Youth Performing Arts Festival and was awarded the following prizes: 1st Prize in the Mozart Sonata Open Category; 1st Prize in the Junior Duet Category; and 2nd Prize in the Diploma Class Open Category. In December 2017, Ryan participated in the Piano Marathon organized by Steinway Gallery Singapore for the benefit of Business Times Budding Artists Fund. It was a 13-hour marathon which was recorded in the Singapore Book of Records. 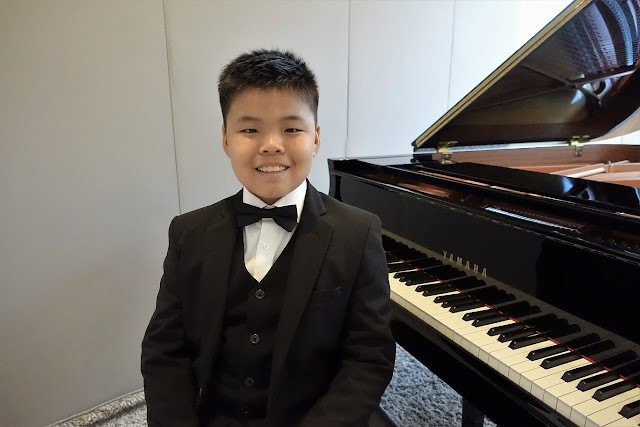 In the II Future Stars International Piano Competition in December 2017, Ryan was awarded First Prize for the Category “Young Talents” and Best Prokofiev Performance. He was invited to the International Festival Chopin Summer in Busko-Zdroj, Poland in July 2018. Ryan participated in ChildAid 2017 held at Resorts World Theatre, Sentosa, Singapore in November 2017. The event raised more than $2.1 million for the benefit of the needy children in Singapore. At the Chopin Memorial Prizes 2017 Hong Kong - International Piano Open Competition in August 2017; Ryan was awarded the following prizes: 1st prize in the Chopin Waltz Open Category; 2nd prize in the Chopin Impromptu Open Category; 2nd prize in the Tchaikovsky Open Category and 2nd prize in the Children’s Category. Ryan was invited to participate in the XIV Vladimir Spivakov Moscow Meet Friends International Festival in June 2017. He performed at the Museum of Russian Impressionism Museum and Boesendorfer Loft. Ryan performed at the Carnegie Hall in November 2016 after he was awarded the FIRST PRIZE Winner and BEST CHOPIN PERFORMANCE Special Prize at the ""Golden Classical Music Awards"" International Competition. At the “eMuse” Music Competition 2016 in Greece, Ryan was the overall Winner of Category A for all instruments. Ryan was awarded the ""BEST PERFORMER"" at the 6th Asean International Chopin Piano Competition held in Kuala Lumper on December 2015. Aside from competitions, he also gives back to the society by performing at the Alexandra Hospital for the staff and patients. He enjoys performing in projects such as the Singapore Rhapsodies at the Singapore National Gallery and National Museum; and Bach in the Subways.